There are two things in life you should never sacrifice: great food and a good beach day on Kauai. For the first item, that is why we serve food and beverages using only the highest quality ingredients available. From organic, fair-trade coffees to smoothies and acai bowls made with locally grown fruit and veggies, our menu items will keep you swimming throughout the day. For the second item, that’s a no brainer. Order online and take it to go. 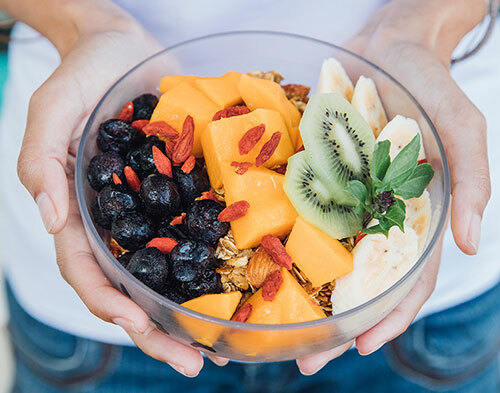 From Acai bowls to bagel sandwiches, we have everything to fuel your day. Have your favorite Little Fish Coffee Roast, or hat, sent directly to your door. Located next to the Poipu Beach Athletic Club in sunny Poipu. Our original location in the heart of quaint Hanapepe Town.